Envelope Punch Board “Exploding” Gift Box from Stampin Up! The recent release of the Stampin Up Envelope Punch Board has everyone in creative mood. The board has been designed for making beautiful envolopes to put your card creations in, but it can be used to make boxes, tags and more, and I have been playing with boxes. I suppose that I should explain what I mean by “exploding” box. Obviously, it doesn’t really explode, but when you remove the ribbon it springs open and I think it is a great idea for putting a gift for a child in. Score the 8″ square of paper at 2″ on each side. 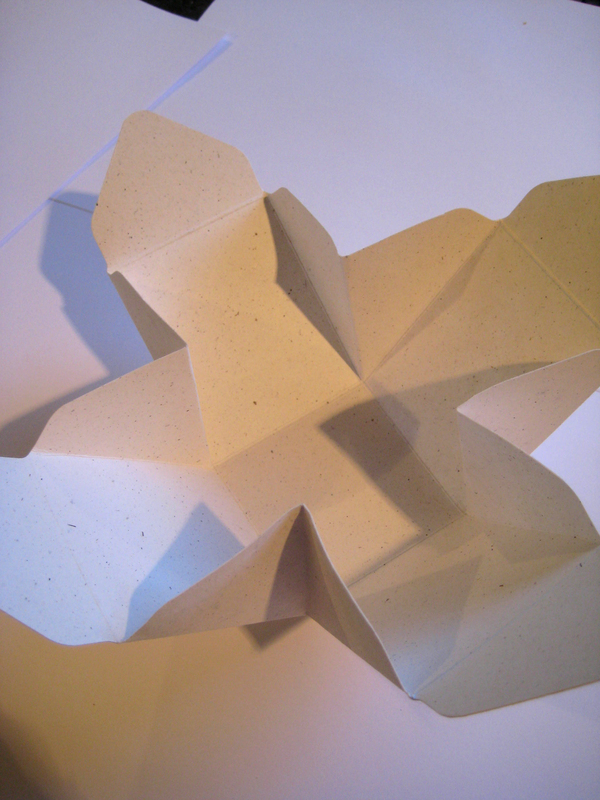 Then flip over the paper or card and score again at 2″ so that you have two notches on each side of the paper. Then you need to match up those notches with the score line to make the flaps (I have used a piece of plain card here so it is easier to see what I mean. Once that is done, fold along all the score lines, if you are using paper than you don’t really need to burnish although you do need to make sure that you have good crisp creases. 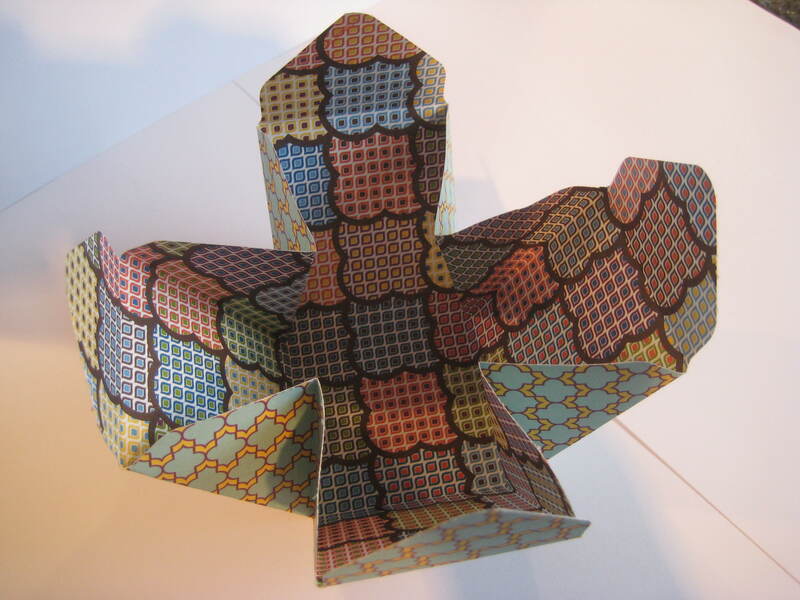 To make the box, you now need to do some folding. If you look at the box you wll see four oblongs with triangles between them. You need to take the edges of the oblongs and bring them together by making anward fold in the triangles. 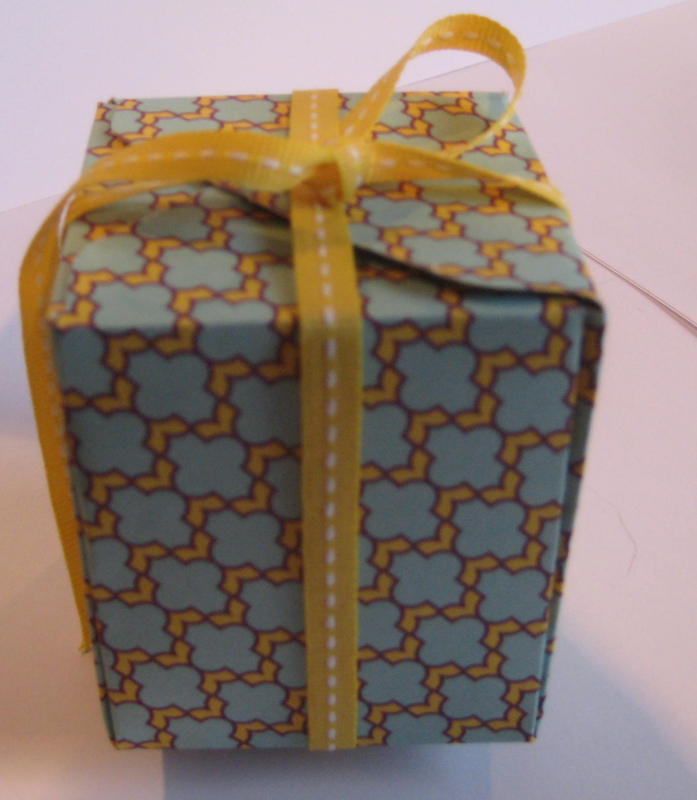 Your box is now ready for a gift and for finishing off. The tricky bit is keeping the card under control while you put the ribbon on. It is a little like wrestling a bag of snakes, but is worth it. 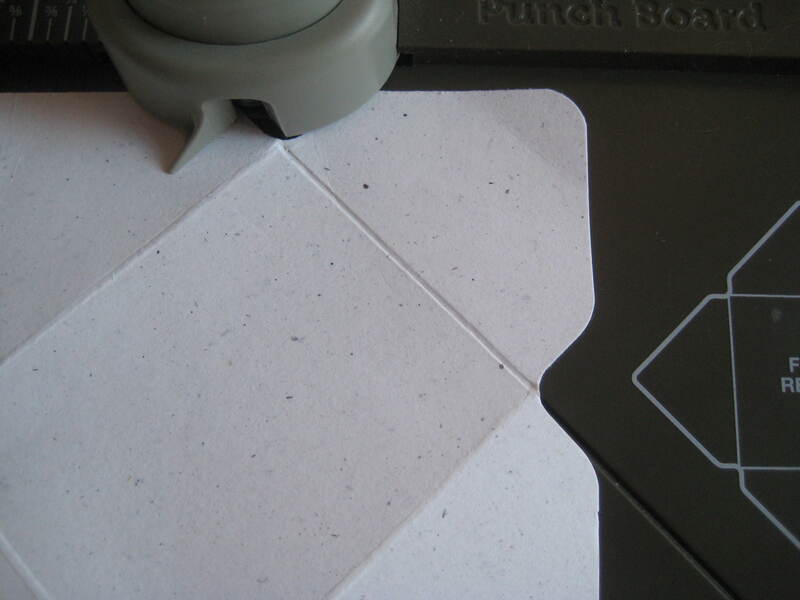 If you want your box to be a little bit more rigid, you can glue the inward pointing triangles to the sides of the box, but bear in mind that it will not spring open. If you have any questions, or would like to order any Stampin Up products, please do not hesitate to get in touch.